Robert Ricardo Gonzalez, a 27-year-old Latino, was fatally stabbed on Wednesday, Feb. 6, in the 16200 block of Shoemaker Avenue in Cerritos, according to Los Angeles County Medical Examiner-Coroner's records. Investigators believe Gonzalez was a homeless man who had been living in a small encampment of two or three tents along an abandoned set of railroad tracks in an industrial area near Shoemaker Avenue and Moore Street, said Los Angeles County Sheriff's Lt. Derrick Alfred. Around 1:20 p.m., Gonzalez got into an argument with two men and was stabbed by one, Alfred said. The two men, described only as adult males, ran from the scene, Alfred said. One of Gonzalez's friends ran into a nearby business to report the stabbing, he said, and someone called 911. Gustavo Arteaga, a 37-year-old Latino, was shot and killed Friday, July 28, in the San Gabriel Riverbed north of Artesia Boulevard and east of Palo Verde Avenue in Cerritos, according to Los Angeles County coroner’s records. Arteaga was visiting at a homeless encampment in the riverbed when an argument broke out, said Los Angeles County Sheriff’s Lt. John Corina. One of the men pulled out a gun and began shooting about 8:35 p.m., striking Arteaga and a 21-year-old Latino, Corina said. Both victims were taken to a nearby hospital. Arteaga was pronounced dead at 9:15 p.m., according to coroner records. His cause of death was listed as multiple gunshot wounds. The 21-year-old was treated for his injuries and released. Michael Warren Wade, a 64-year-old white male, died Monday, Jan. 30, after sustaining blunt force trauma in Cerritos, according to Los Angeles County coroner's records. Posted Nov. 20, 2009, 11:09 p.m.
Posted May 4, 2009, 5:36 p.m.
Joseph Paul Glebovich, a 64-year-old white male, died Monday, May 4, after sustaining blunt force trauma in Cerritos, according to Los Angeles County coroner's records. Posted March 19, 2008, 1:07 a.m.
Kejuan Edward Bullard, 23, a black man, was shot about 10:20 p.m. Tuesday, March 18, near the parking lot across from BJ's Restaurant and Brewhouse at 11101 183rd St. in Cerritos. Deputies patrolling the area heard gunshots and responded to the lot. Upon arrival, deputies found Bullard on the ground with gunshot wounds. He was taken to a hospital, where he was pronounced dead at 1:08 a.m. the next day. Authorities said witnesses saw two black men running from the scene after the shooting; one man was carrying a handgun. Posted Jan. 8, 2008, 8:45 a.m.
Jose Avina, a 26-year-old Latino man, was found dead inside his Dodge Ram pickup truck near the intersection of 195th Street and Ely Avenue in Cerritos about 8:45 a.m. Tuesday, Jan. 8. Avina was slumped over the steering wheel when a parking enforcement officer discovered him, said Det. Joe Martinez of the Los Angeles County sheriff's homicide bureau. 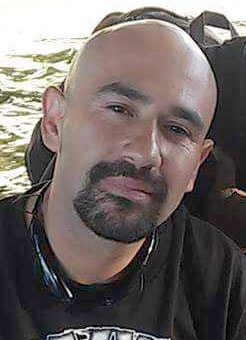 Alfredo Valdivia, a 38-year-old Latino, was shot and killed by law enforcement officers on Tuesday, Oct. 31, in Cerritos. Authorities said Valdivia had fatally wounded a woman, who they said were or had been married, in A the parking lot of a Cerritos auto insurance business. No deputies were injured in the shootings, which occurred about 8 a.m. at Auto Insurance Specialists in the 17700 block of Center Court Drive. Capt. Ray Peavy of the sheriff's Homicide Bureau said that the slaying appeared to have stemmed from domestic strife and that the man wanted deputies to kill him. "It's unknown if he followed her here or if he was waiting for her," Peavy said. "It appears that he shot her and waited for deputies to arrive. When they did, he engaged them in a gun battle." Rachel Rice, a 34-year-old Latino female, died Tuesday, Oct. 31, after being shot in Cerritos, according to Los Angeles County coroner's records. Joshua Uchul Shinn, a 32-year-old Asian male, died Thursday, Oct. 26, after being strangled in Cerritos, according to Los Angeles County coroner's records. Matthew David Morrison, a 23-year-old white male, died Thursday, Oct. 26, after being shot in Cerritos, according to Los Angeles County coroner's records. Xiu Kang Xiao, a 40-year-old Asian male, died Wednesday, Aug. 23, after being shot in Cerritos, according to Los Angeles County coroner's records. Michael Allen Sharp, a 34-year-old white male, died Tuesday, Sept. 6, after being stabbed in Cerritos, according to Los Angeles County coroner's records. Alex Camacho, a 31-year-old Latino male, died Thursday, Jan. 27, after being shot in Cerritos, according to Los Angeles County coroner's records. Kristine Rae Holmstedt, a 61-year-old white female, died Friday, Nov. 19, after being shot in Cerritos, according to Los Angeles County coroner's records.